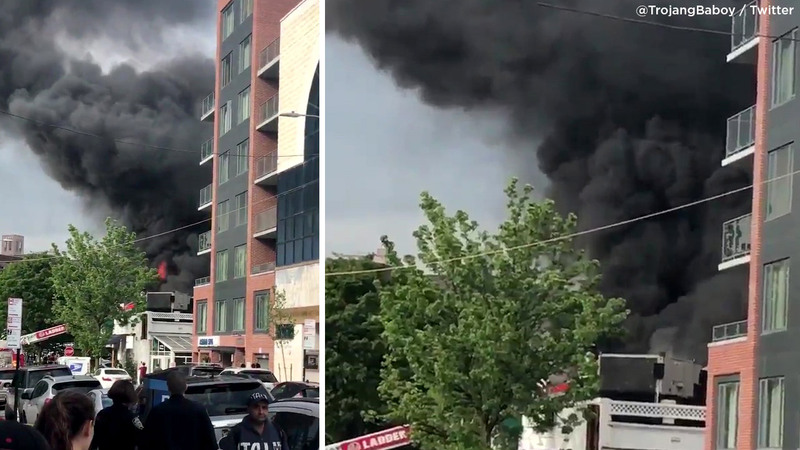 FOREST HILLS, Queens (WABC) -- A large plume of black smoke billowed up from a fire on the roof of a restaurant in Queens Wednesday. The fire happened just after 5:30 p.m. on 70th Avenue in Forest Hills at Piu Bello restaurant. The FDNY said the fire started on the roof and was quickly knocked down. No injuries were reported. There's no word yet how much damage there was to the restaurant.